We’ve been a part of some monumental space science feats—the first footprint on the Moon, the first human-made object to enter interstellar space, and the last packet of data from Cassini before it burnt up around Saturn—and many of them are thanks to collaborations with partners around the world. With NASA alone, we’ve worked together for nearly 60 years on dozens of missions, both human and robotic, to explore worlds across the Solar System. We continue to be a key global partner in many international space projects and are always looking for new opportunities. Now we’re proud to welcome a new collaboration with JAXA, the Japan Aerospace Exploration Agency, at the Alice Springs Balloon Launching Station. Pilot run for a Centre national d’études spatiales (French space agency) launch from Alice Springs. 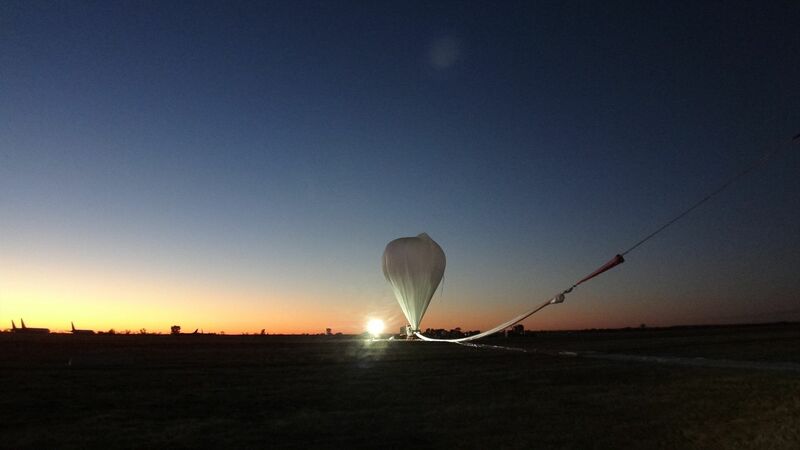 The Alice Springs Balloon Launching Station is a NASA-owned facility that we manage on their behalf. For over 40 years the site has been used for launching payloads to altitudes of 30-40 kilometres, placing them above 99% of the Earth’s atmosphere—‘touching the edge of space’ from a unique launch site located in the dusty desert outskirts of Alice Springs in the Northern Territory. From this location, sensitive space telescopes and atmospheric survey instruments, which can weigh several tonnes each, are lofted high above the atmosphere using gossamer thin helium-filled balloons which, when inflated, are over 15 storeys high and 100 metres in diameter (over twice the width of the balloons used in the movie ‘Up’). Winds at the heights flown by these missions allow the payloads to gently float aloft for up to 24 hours before being commanded to safely descend to a remote area near Longreach in Queensland. 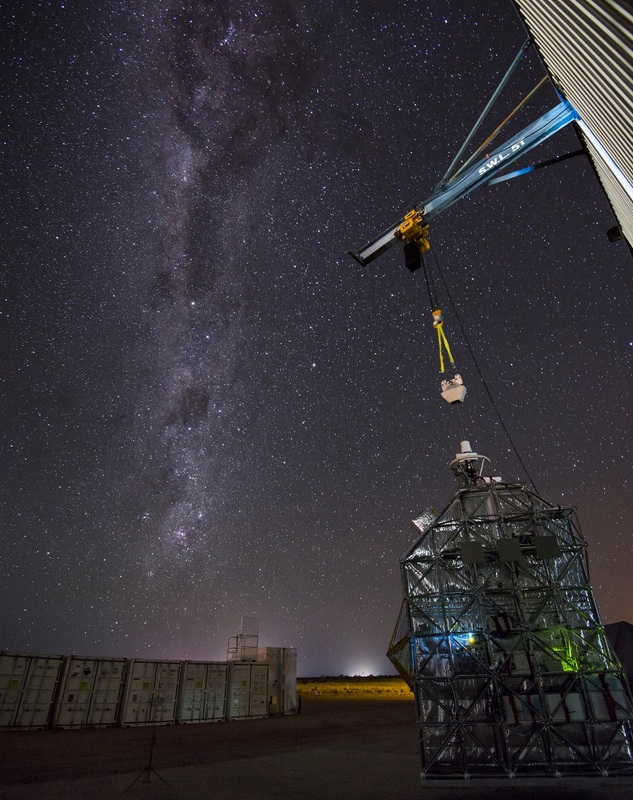 Building on the success of earlier ballooning campaigns with Japanese and French scientists in 2015 and 2017, our new agreement with JAXA will make use of the Alice Springs’ facility for a multi-flight campaign starting in the first half of 2018. SMILE-2+ (Sub-MeV/MeV gamma-way Imaging Loaded-on-balloon Experiment) and GRAINE (Gamma-ray Astro-Imager with Nuclear Emulsion), both gamma ray telescopes. Using balloons to fly these observatories to the edge of space is less costly than launching by rockets and also provides a flexible way to develop and improve the instrument technologies with each flight rather than putting something into orbit which cannot be upgraded or serviced. To support these missions, we continue our longstanding partnership with the University of New South Wales (UNSW) to oversee all the technical, safety and regulatory requirements for each flight. 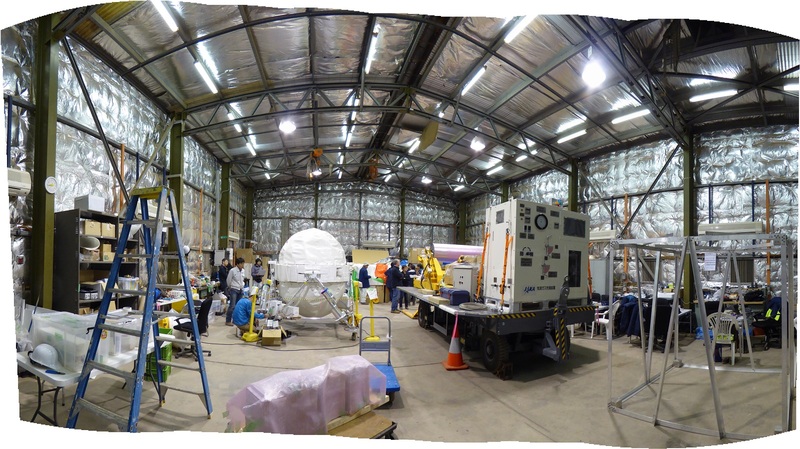 Panorama inside a JAXA shed. Want to see what else we've done in space? Nice, explicit summary of an exiting series of projects with CSIRO’s partners.